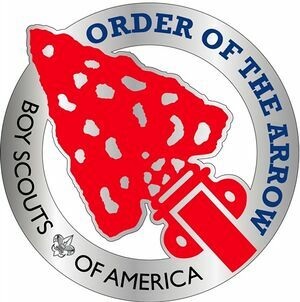 Youth and Adults of the Boy Scouts of America (BSA) may become Arrowmen when they complete induction into the Order of the Arrow. The first step is done thru annual elections held at the each scout unit in the first part of the year. For more than a centeury, the Order of the Arrow (OA) is a program of the Boy Scout division of the Boy Scouts of America (BSA). It is the BSA's national honor society for experienced campers, based on American Indian traditions, and dedicated to the ideal of cheerful service. Each troop should have an OA representative who can play an important role in promoting the OA to the unit and preparing for the annual election. Experienced 15 nights of scout camping in the last two years. Completed one long-term camp in the last two years. The local OA Lodge determines the time of year for elections and schedules a visit with each scout unit. The goal is to complete all elections before summer camp. Elections are conducted by a 2-3 man team from the lodge during a unit meeting. Unit leaders need to provide the OA Team a list of all registered members who meet OA Eligibility requirements including attitude and participation. They should also affirm that at least 50 percent of all registered members are present for the election. Any reigstered active member under age 21 may vote (whether already an OA member or not). Members do not have to be present to be elected. This election typically lasts 15-30 minutes. Voters may vote for any or all of the members on the list. Any qualified member receiving 50 or more percent of the units votes of those who turn in ballots is elected. An election may be rescheduled if less than 50 percent of youth are not present. After the election, the lodge contacts those who were elected to schedule their participation in the OA Ordeal Weekend, whereby they will officially become Arrowmen, members of the OA. This page was last edited on 23 February 2019, at 22:15.